I can remember feeling like I didn’t care much about the App Store when it was first launched. I really liked my iPhone, but I had never had a good gaming experience on a mobile phone and figured the App Store was not going to be that useful to me. My mind quickly changed when I saw how many apps there were and how well they worked for the most part. It seems like the App Store has been around forever, but it is only officially turning one this week. The birthday for the App Store is this coming Saturday and Apple is already celebrating with lists of the top apps and other things. If you thought that Apple was having a hard time unloading all of those new 3G S units, you can rest easy. The gang at Cupertino have issued some stats that will make Apple fans breath a collective sigh of relief. Those stats show that they’ve managed to move a million iPhone 3G S units over the weekend. That’s right, as usual, like lemmings to a proverbial cliff, tons of buyers flooded Apple’s stores for the new smartphone. It’s all looking great for Apple. 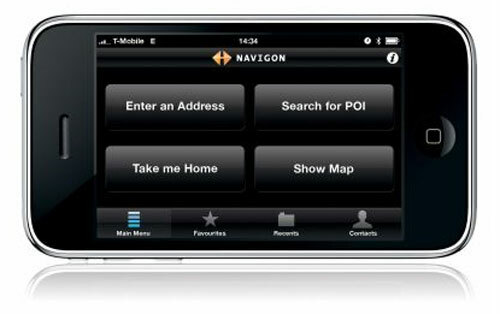 Navigon iPhone app available soon in U.S. The iPhone 3G and the new 3G S mobile phones are slick devices that are very popular. They both have integrated GPS capabilities, but Apple really didn’t go all out to take advantage of the navigation capabilities of the device. Navigon has announced a new App that is available now in Europe and will be available soon in the U.S. called MobileNavigator for the iPhone. The app turns the iPhone into a fully functional portable navigation device. Today is the big day for iPhone fans looking to get their hands on the new iPhone 3G S. The catch for some iPhone 3G owners is that AT&T’s upgrade plans for the iPhone 3G S are not that great if you haven’t had your old iPhone that long. 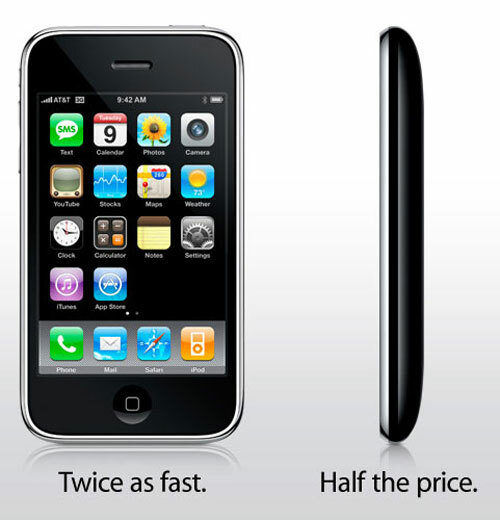 NextWorth has announced an upgrade program for iPhone 3G owners that may give enough cash to upgrade to the 3G S iPhone. The company says that some that trade-in their old device may even have cash left over after they buy the iPhone 3G S.
There is an app for everything on the App Store for the iPhone. You can find free games, applications to keep track of your finances, and applications to keep track of how many calories you eat each day. If you are trying to get fit and want to use your gadgets to meet your goals, the iPhone can do that too. Men’s Health has announced a new iPhone app called Men’s Health Workouts that is available now on the App Store for $1.99. The App offers 18 exclusive workouts and over 125 exercises from the world’s top strength coaches, athletes, and fitness experts. Danger. Danger Will Robinson. Apple’s screens are a silent danger just waiting to mess you up. So says an advisory recently published by Queensland University of Technology, which predicts a rash of injuries as a result of users straining to get a clear look at Apple’s “high gloss” screens, due to the ergonomically unsafe postures and positions that result. If you have such a display, Queensland Tech offers many suggestions for staying healthy: One is placing the monitor so that screen is at a 90 degree angle to overhead lighting, another is closing the curtains or blinds to minimize glare, and adjusting the contrast / turning down the brightness. Most importantly, do not panic! 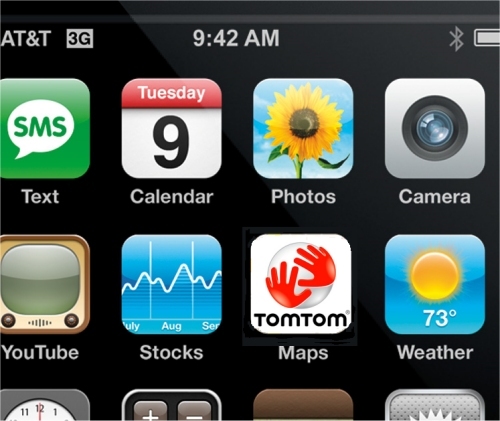 TomTom announced on Tuesday that it would be making it’s navigation software and some hardware pieces available specifically for use with Apple’s iPhone sometime in the not too distant future. TomTom will be offering the navigation software through the iTunes App Store and will also provide some type of charging dock and speakers for use on the go. The navigation company did say the software would be available for the iPhone 3G but did not specify if it would be available for the newly announced iPhone 3G S version, however logic tells us it will. The iPhone 3.0 software will be available worldwide on June 17th, while developers can get it today. It will be free for iPhone owners and cost $9.95 for the Touch. It sports some new features of course. Today Apple announced new MacBook Pro models with the same upgraded, 7-hour battery life as the 17-inch MacBook Pro, more memory, a processor upgrade, and storage, as well as an SD-card slot. They are shipping today. According to Apple, the battery will last 5 years or 1,000 recharges since it’s non-removable. The base model features a 3.06 GHz Dual Core Intel processor, 4GB of memory, a 250GB 5400rpm HDD, and an upgraded display at $1,699. That’s $300 less than the current model. If you want to upgrade to a 2.66GHz processor with a 320GB hard drive, that’ll cost you $1,999, while the 2.8GHz model with a 500GB hard drive will hit at $2,299. 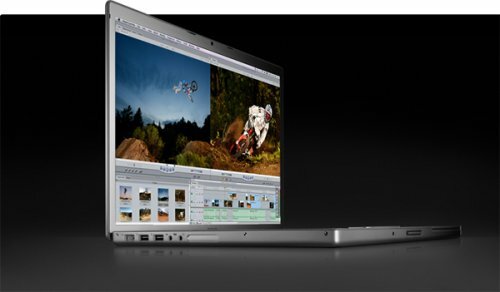 Apple prepping less costly MacBook Air with 3G? This rumor, if true, may be a sign that Apple wants to compete with netbooks or that in this economy, they don’t think that consumers will continue to pay a premium for the Apple name in the longterm. 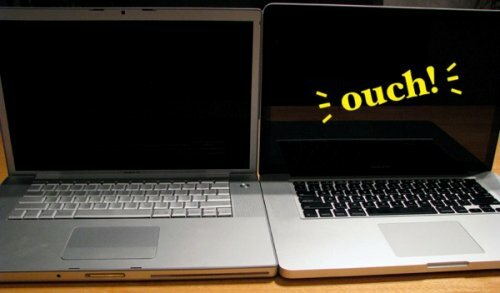 Either way, Apple may push the cost of the MacBook Air down while extending its feature set. Unnamed sources for SiliconRumors claim that an entry-level model will push the price down to between $1,300 and $1,500, or at least $300 less than the current model. Whether this would be a smaller model or just a price cut isn’t clear. The Apple App Store is so massive that there are apps for just about everything an iPhone owner might want to do. If you want to lose weight, there is an app for that. If you want to keep in touch with friends there are apps for that and many other needs. Golfers have a new app that can help them analyze their golf game just like the pros would. 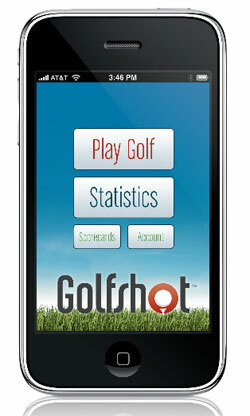 The application is called Golfshot and generates tour quality statistics for golfers to share. Among the stats that the application graphs are fairways hit or missed left and right, greens in regulation, recovery scrambling, sand saves, putts per hole and per GIR, scoring averages on par 3, 4, and 5 holes, and scoring percentages. Wal-Mart is upping its electronics game, filling the void left by Circuit City’s closure. If you’re counting, that’s about $11.1 billion in annual revenue waiting to be made. Wal-Mart is rolling out new sections for Apple and Nintendo in some of its electronics departments this week. They are also adding higher-end Sony and Samsung televisions, expanding Blu-ray equipment and is even getting the Palm Pre next month. Wow. Does this mean under $1000 macs? That would sure make Laptop Hunters happy. applead from Gizmodo on Vimeo. In Apple’s typically smug fashion, they have once again responded to Microsoft’s Laptop Hunters ads. This one features a Lauren-type actress giving her list of specifications, and the suited PCs are disqualified a few at a time, until eventually they all leave. The entire ad war is pretty silly and stupid. Having said that, say what you want about Microsoft’s ads, but they are rarely condescending and smug as Apple ads often are. Just kinda leaves a bad taste in your mouth. Beginning this fall, journalism students at the University of Missouri, Columbia will need to add an iPhone or an iPod touch to their already expensive shopping carts. It seems ridiculous, but there is a method to this madness. Possible plans to add 3G Wireless to Macs? The Comms Software QA team within the Mac Hardware Group is seeking a motivated QA engineer to perform quality assurance testing for new Apple CPU Products. Duties for this position include, but are not limited to: Testing and reporting hardware, software, and device driver bugs for Communications technologies including AirPort (802.11a/b/g/n), Bluetooth v2.0, gigabit Ethernet, and/or 3G Wireless WAN in a detailed, timely manner.